My Lifestyle Sessions are fun, seamless and intimate. Despite where you're at in your life, it's important to document yourself and your loved ones. With each session type, I include something different to fit your personal needs. Sophisticated + Glamorous, Couture Portraits are great for bloggers, business professesionals or just to celebrate yourself! This session includes an hour and a half of photography service (up to 2 outfit changes), Post Processing and Light Retouching, an On-line Proof Gallery, and web size files for on-line sharing. My Family Portrait Session includes 45 minutes of Photography Coverage within 20 miles of zip code 70002, up to 4 people, Post Processing & Light Retouching, an On-line Proof Gallery, low resolution images for on-line sharing, and a FREE In-Home Consultation to help you select your Wall Prints. A Non-refundable Retainer of $175 reserves your session date and time. Prints and hi-resolution files are not included and can be purchased separately. 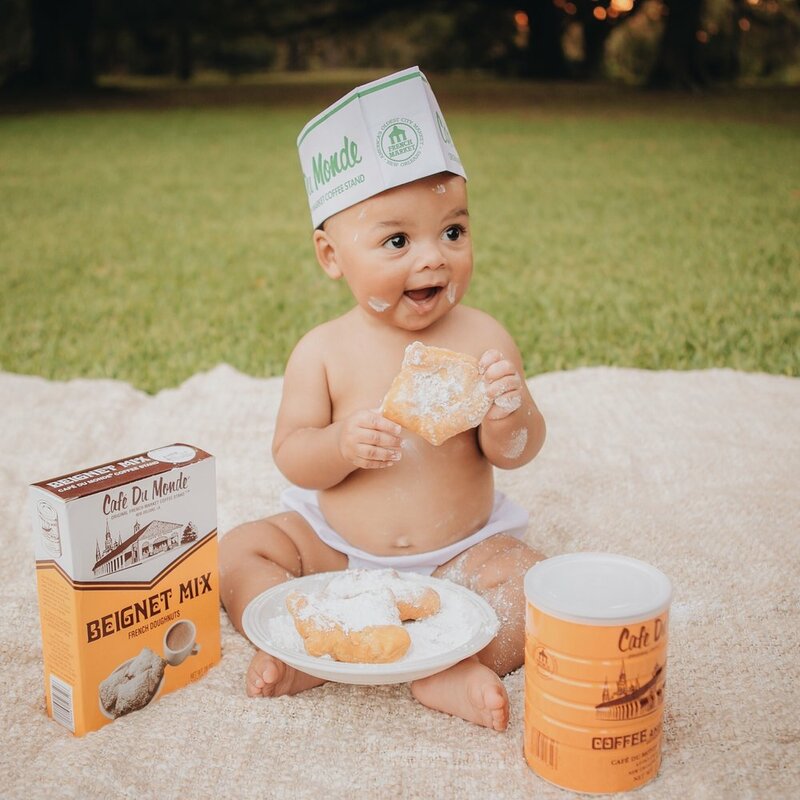 Just when you thought beignets couldn't get any sweeter! This mini session comes includes 20 minutes on location, proof gallery, low-resolution images for sharing on-line, an 8x10 Canvas Mini, 2-5x7s and 8-wallets of one pose. • For safety reasons, I only accept babies that are able to support themselves. All Portrait Service Packages require a signed Contract of Service and Non-Refundable Retainer to reserve your session date and time. All prices are pre-tax and subject to change at any time. Additional family members for Lifestyle Sessions are $25 per person. Sessions 25 miles out of zip code 70002 require a $25 travel fee. For more information, please visit the Frequently Asked Questions page.